MoMA Exclusive: This special edition design is an official version of the original New York Yankees cap that features the MoMA logo on one side, a New Era logo on the other, and the MLB (Major League Baseball) emblem on the back. This fitted baseball cap is made in the USA of wool. Choose from sizes ranging from 6 7/8 through 7 3/4. Based in Buffalo, New York, the New Era Cap Company has been manufacturing baseball caps since the 1930s. 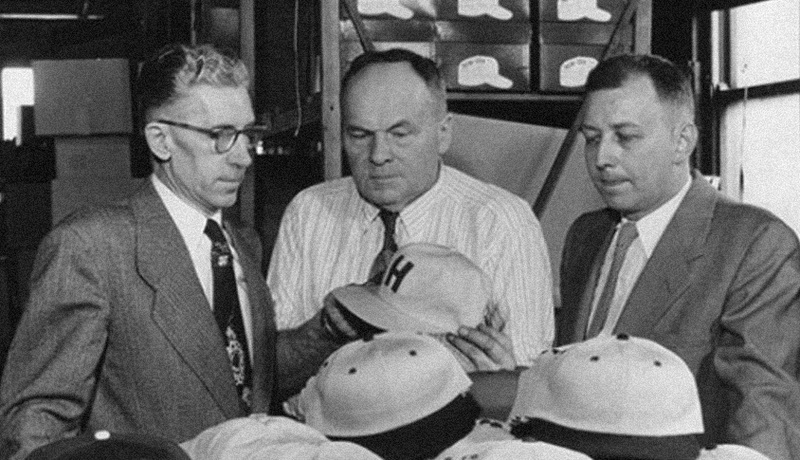 In 1954, the company introduced their 59fifty fitted cap design, which has become the official on-field cap of Major League Baseball. In the late ‘60s, then-President of New Era, David Koch, met George Steinbrenner who later became owner of the New York Yankees in 1974. This led to a great partnership between the two, and New Era has been making caps for the New York Yankees ever since. In celebration of this iconic design, MoMA’s limited edition New York Yankees Baseball Cap is manufactured by New Era in upstate New York, featuring the original wool fabrication with a classic green under brim.